I couldn’t think of a better way to mark my blog’s one year anniversary than being nominated for a blogger award! A huge thank you to the lovely Beauty + Jess for my Liebster Award nomination, you truly made my day. So what’s it all about, i hear you ask? Let me fill you in. 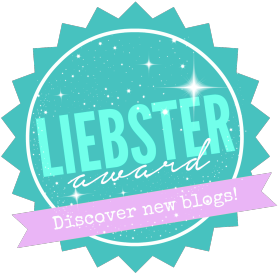 The Liebster Award is given to up-and-coming newbies on the blogging block, with small followings (and big dreams) to help bring their blogs more exposure and encourage nominees to connect with the wonderful blogger community (you guys are awesome). Pizza is my favourite food. Mamma Mia! My beauty inspiration is my mum. She’s 50-something and looks amazing! What did you want to be when you were a kid? A weather girl. Seriously. I was fascinated with geography, thunderstorms, clouds… and the prospect of talking about them every night to a national television audience! What beauty product or fashion item could you simply not live without? Which hollywood star would play you in a film about your life? City break or beach getaway? What’s your best blogging tip?